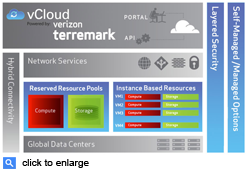 Hayes vCloud, powered by Verizon Terremark... combines the power and flexibility of infrastructure-as-a-service with the expertise, security and availability that large organizations with mission-critical computing needs, demand of their infrastructure. An easy-to-use Web-based management interface provides command and control over cloud-based resources of compute, storage and network. Secure Cloud Computing – Hayes understands that maintaining the confidentiality, integrity and availability of mission critical information is a top priority for enterprises, government agencies and educational institutions. Performance & Flexibility – We use Reserved Compute Pools, On-Demand Virtual Machines or a combination of both for a custom and highly efficient environment. Compliance – vCloud provides a highly secure foundation for your organization's applications, with an architecture designed to help address today's critical security requirements, including SSAE16, and PCI DSS. 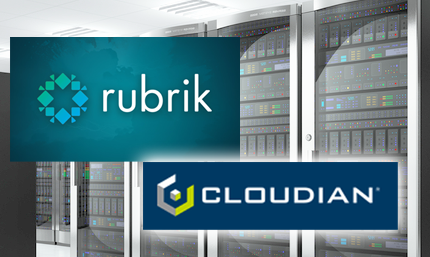 High Performance Storage – vCloud delivers storage on a redundant, high-performance Fibre-attached SAN architecture. Integrated Network & Firewall Management – The firewall management feature gives you the ability to modify and create firewall rule sets as needed for your environments. Private Network Integration – Seamlessly integrated with your existing private network and all network connections are made via secure channels (Utility LAN-LAN, Dedicated LAN-LAN, or Point-to-Point Circuit connections). On-Demand – vCloud On-Demand offers the ability to purchase virtual machines by the hour with no minimum billable or contract.